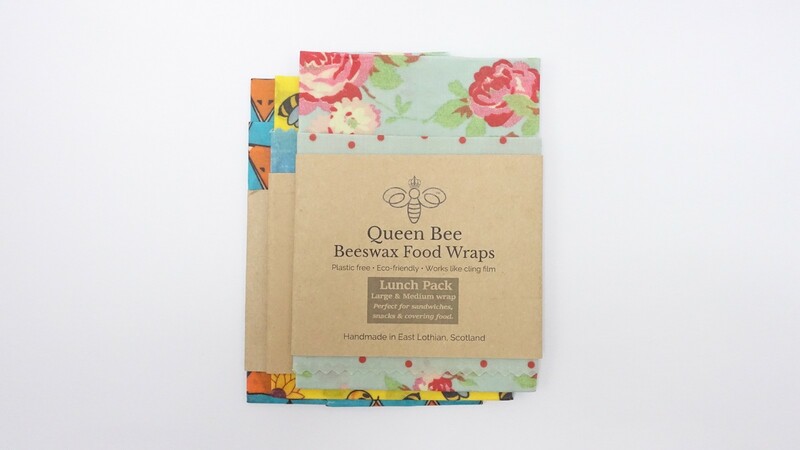 Eco-friendly alternative to cling film & foil this natural beeswax wrap is perfect for building your sandwich, wrapping and then using as a place mat! Of course can be used to wrap anything and great to cover a bowl of a plate of food. All hand crafted in Port Seton. 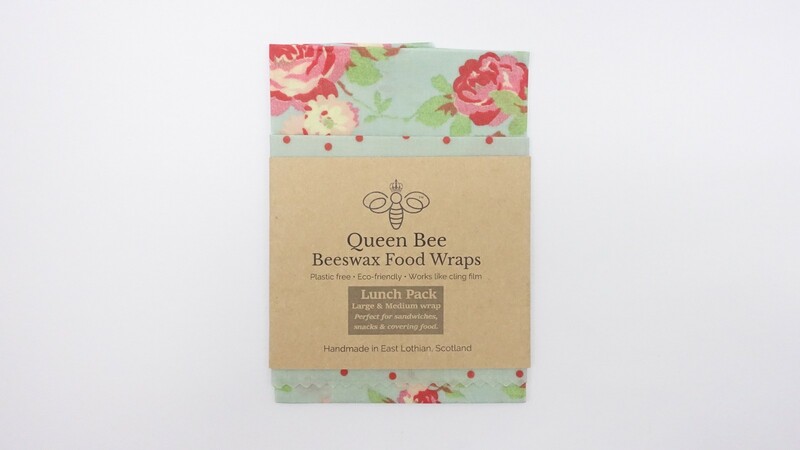 We always try to source our products from close to home and so we're excited to be able to offer you wraps made here in Scotland! The wraps are made using all natural ingredients so no chemicals will leach in to your food like it would from cling film. Keeps your food fresh. Because of the natural ingredients used, your food will be able to breathe keeping it fresher for longer. The wraps are nturally adhesive, just warm the wrap slightly in your hands and mould it round a bowl, piece of fruit or loaf of bread. It will naturally form a seal. Just rinse and reuse! Use some cold water to clean the wraps and keep reusing. The only food they aren't suitable for is raw meats or hot food. They can last up to a year if looked after properly, and once they're passed their best you can pop them in your waste food bin for composting!